Located just a short distance from famous university Karawiine, and close to the tree old tanneries in the world as well as dozens of the restaurants, cafes, and pubs. All Fez Medina attractions are easily accessible by foot. 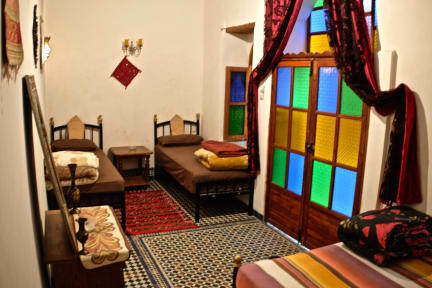 Riad Mikou has 6 rooms. 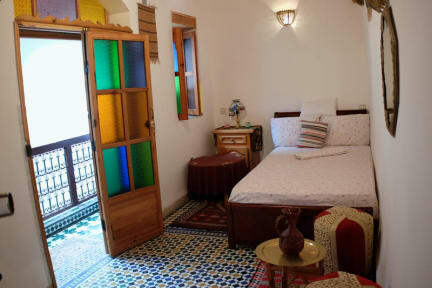 All the rooms in Riad Mikou are wide, with typical Andalusian ceramic, plate and Cedar roof. Check in from 14:00 to 00:00 .